Subject: A Very Special Birthday!! 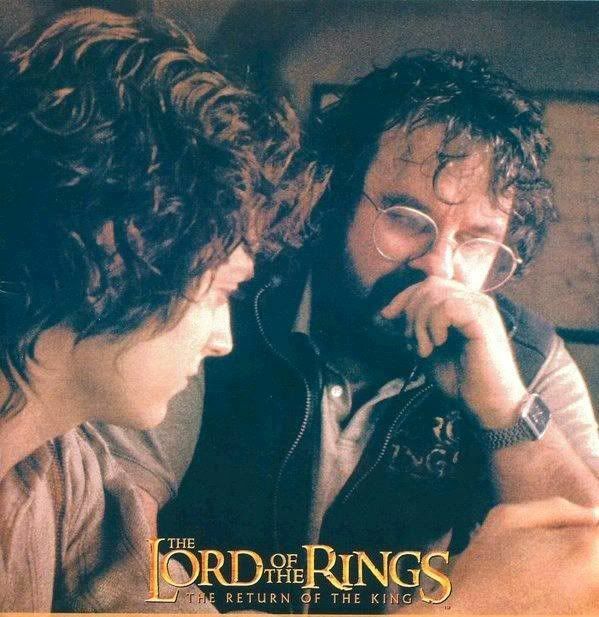 HAPPY BIRTHDAY TO PETER JACKSON!! I'm joining you in wishing PJ a fantastic Birthday!!! I think we'll never be able to thank him enough for the very special movie which changed our lives! "I think we'll never be able to thank him enough for the very special movie which changed our lives!" Just the bestest pic to use...and I add my best wishes to the Wizard of NZ. *clinks glasses* how cool to be born on halloween? i've always loved that pic and wondered what was going on at that time. He did indeed give us a great and rare gift when he made those masterpieces.. All our lives changed forever when he cast the role of Frodo.. HAPPY BIRTHDAY Peter.. Many thanks. "All our lives changed forever when he cast the role of Frodo." Absolutely - I'm so thankful that he recognised the perfect Frodo the moment he set eyes on him!! Now that would be great - we could all fly to NZ and travel out to meet PJ just to wish him a very Happy Birthday and thank him for all he's done... :) I hope he does know how much we appreciate him, but then he might have an inkling from how popular his LOTR films have been! "My life would be completely different without those movies and Elijah as Frodo." Same here - I find it hard to remember what life was like before I knew of Elijah, Frodo & LOTR!! "and many more of them........."